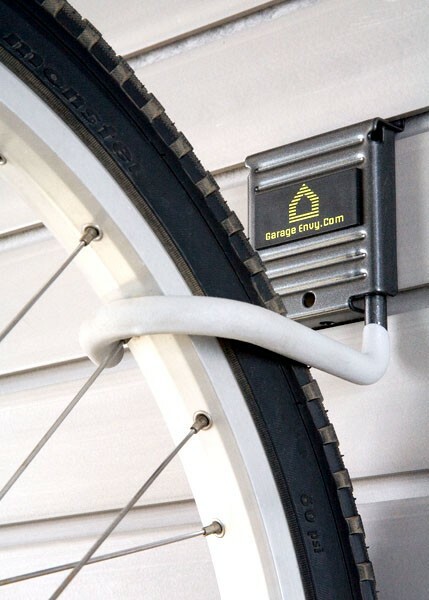 This unique 5 bike hook is strong enough to safely hold an adult-sized bicycle from Wallscape slatwall. A convenient solution to a universal storage challenge and an excellent space saver. This simple hook with a no-slip tip securely grips bike tire and is hassle free when attaching and removing from Wallscape slatwall. A must have slatwall accessory for bike lovers.